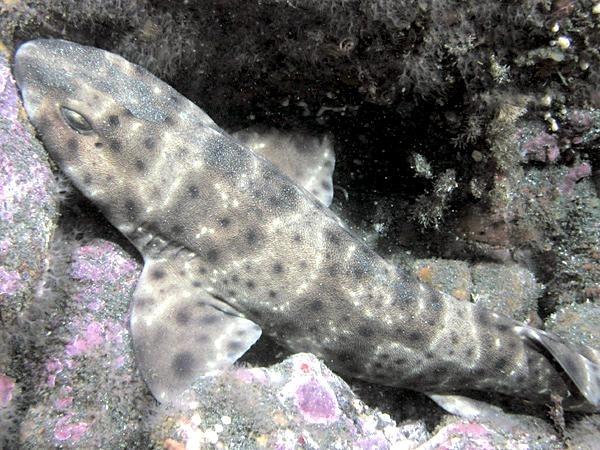 Swell Sharks are small sharks that are very good at pretending to be bigger than they actually are. 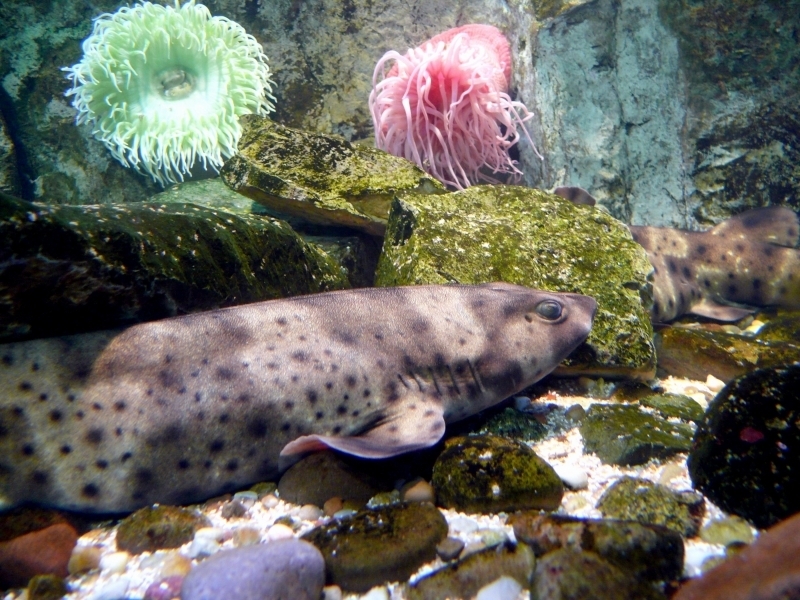 When threatened, they fill their stomachs with water or air to at least double their apparent size thus their name. 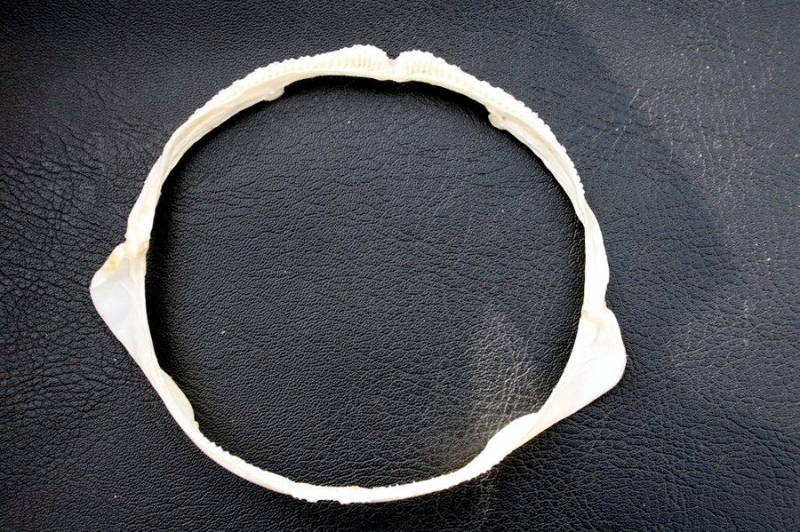 This prevents their being pulled out of crevices as well as making them appear perhaps too large to be attacked. 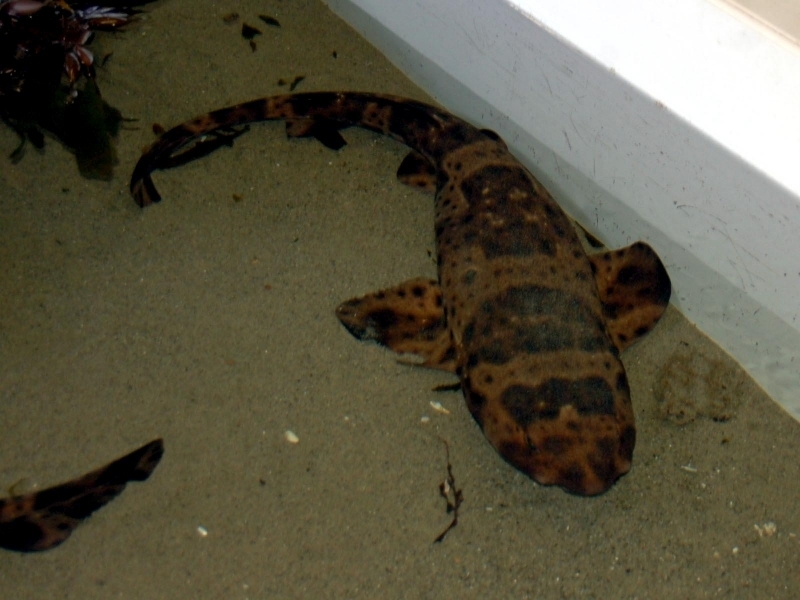 In appearance, they are spotted with blunt faces and don’t grow much beyond three feet. 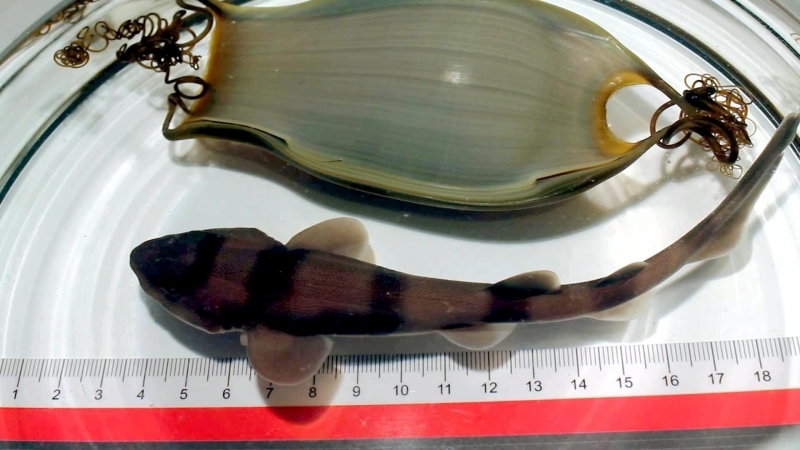 The littlest of the species achieve a maximum length of around 20 inches. 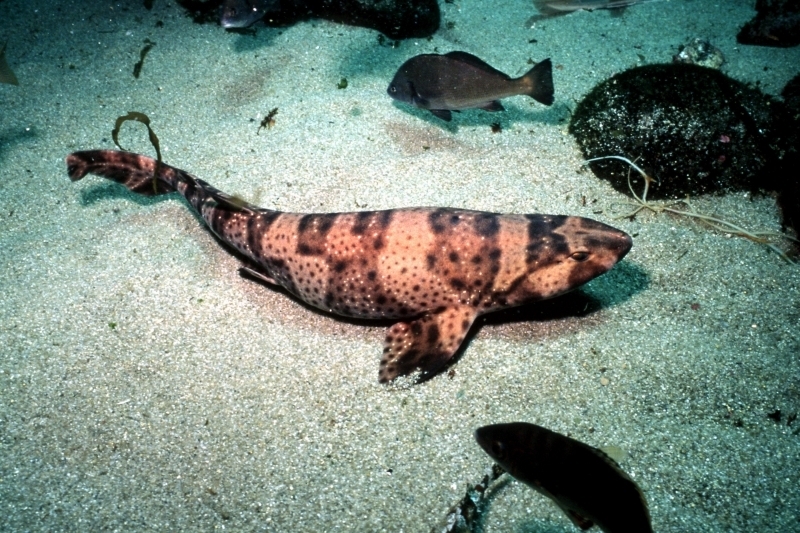 Normally they are relatively streamlined, if a bit on the chunky side. 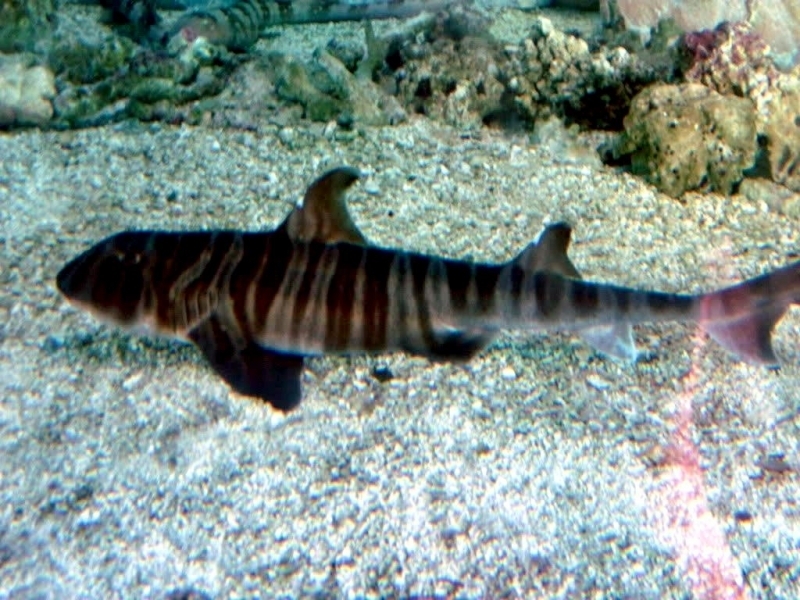 They are not built for speed. 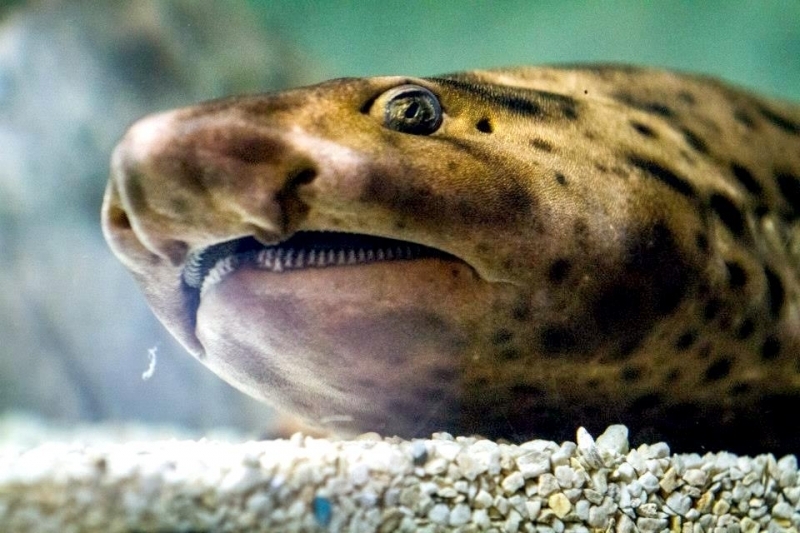 When scared, they look like they have seriously been overdoing the fish; the change in shape is dramatic. 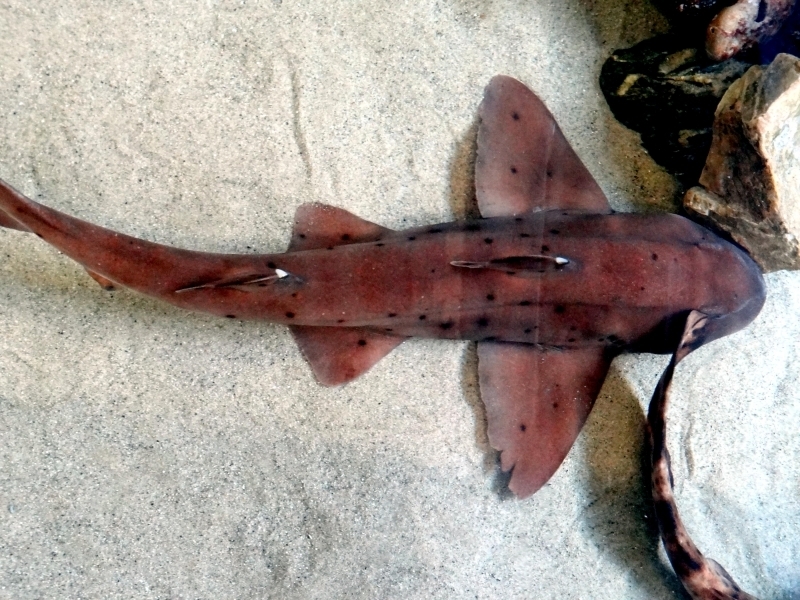 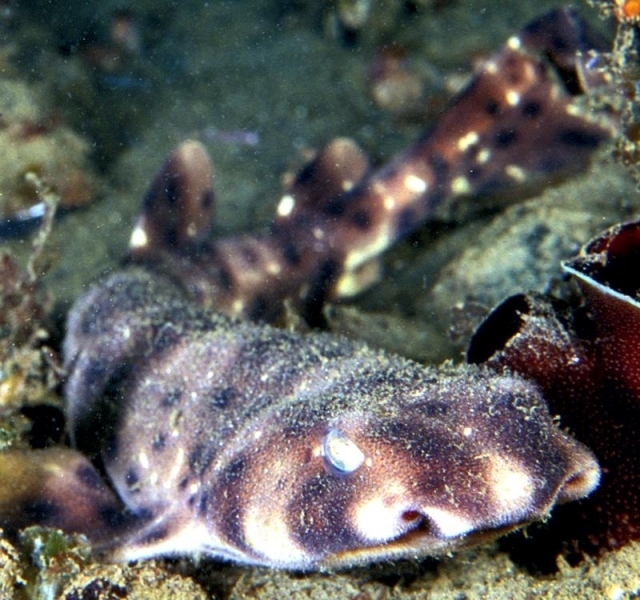 Swell Sharks belong to the cat shark family (Scyliorhinidae) and if you look closely you can see why. 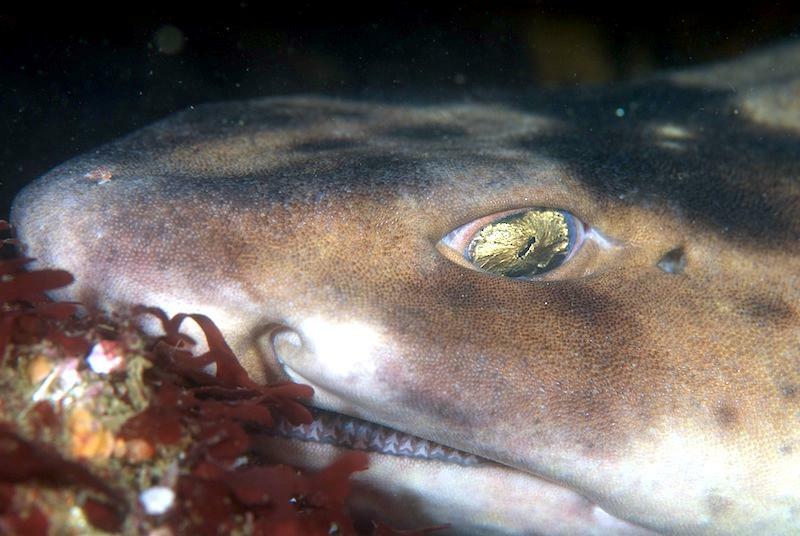 They might not be fluffy or have whiskers but the clue lies in their eyes. 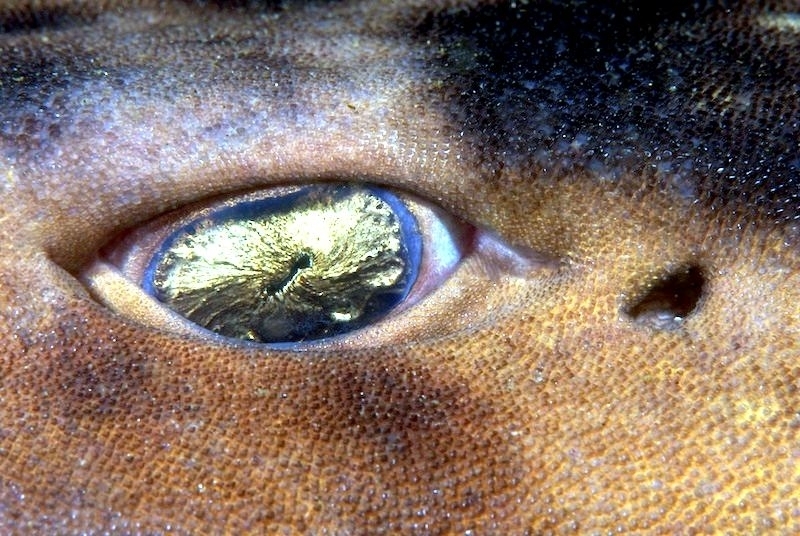 Swell Shark pupils have the same form as those of cat, being vertical ovals rather than the round pupils found in most other vertebrates. 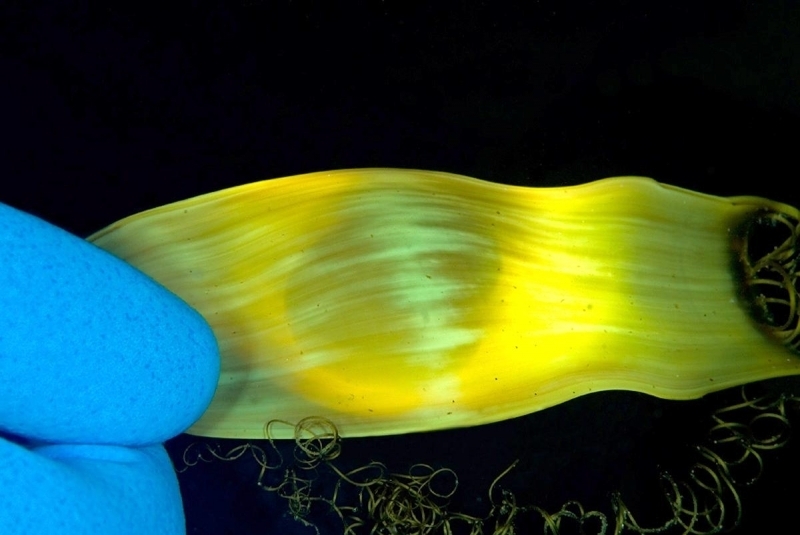 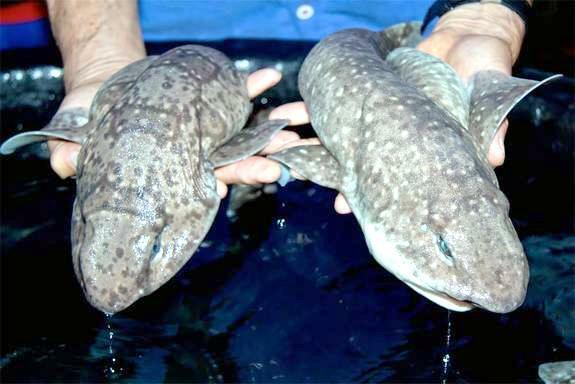 They live off continental shelves in the Indian & Pacific Oceans, not venturing into open ocean where there would be no hiding places and a shortage of food. 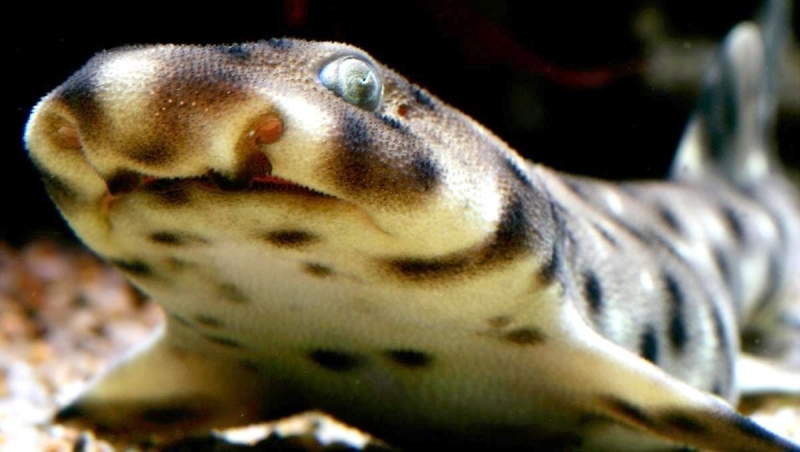 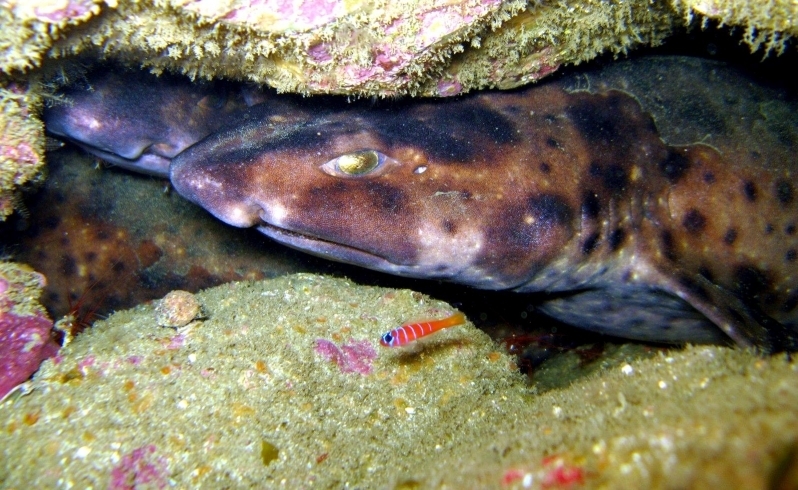 A Swell Shark’s hunting technique is often rather passive, a common strategy is for them to sit motionless with their mouths open and wait for unsuspecting prey to wander past or rather in. 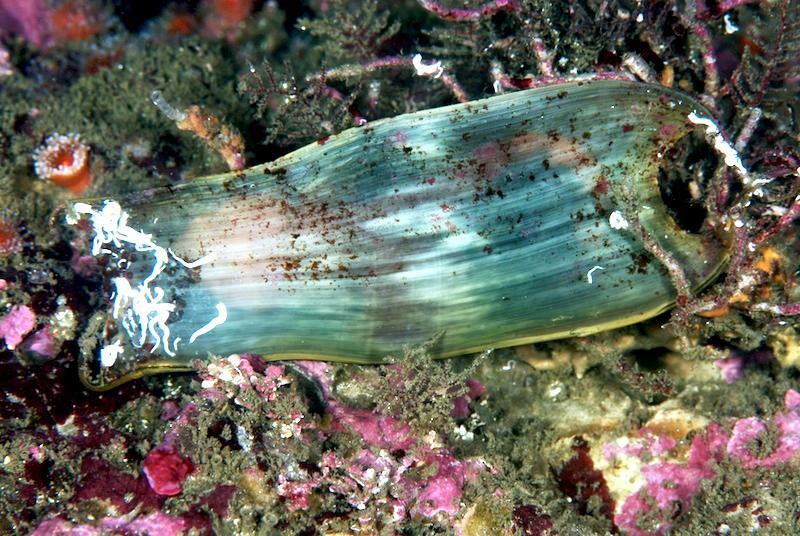 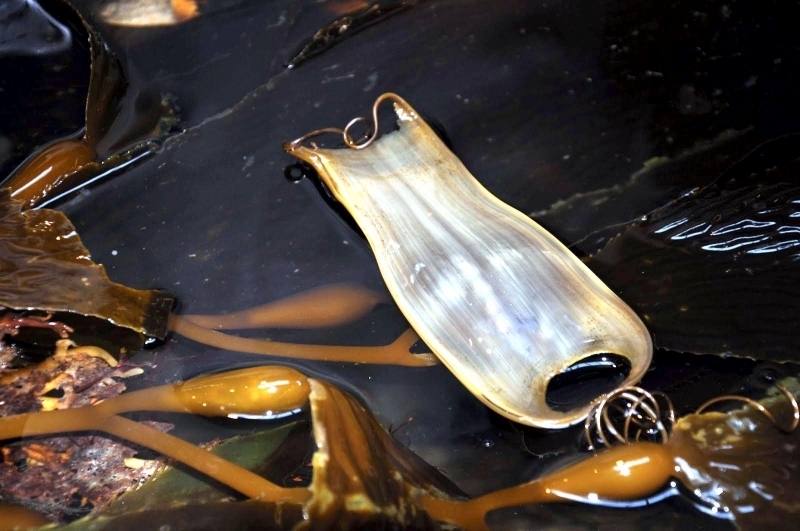 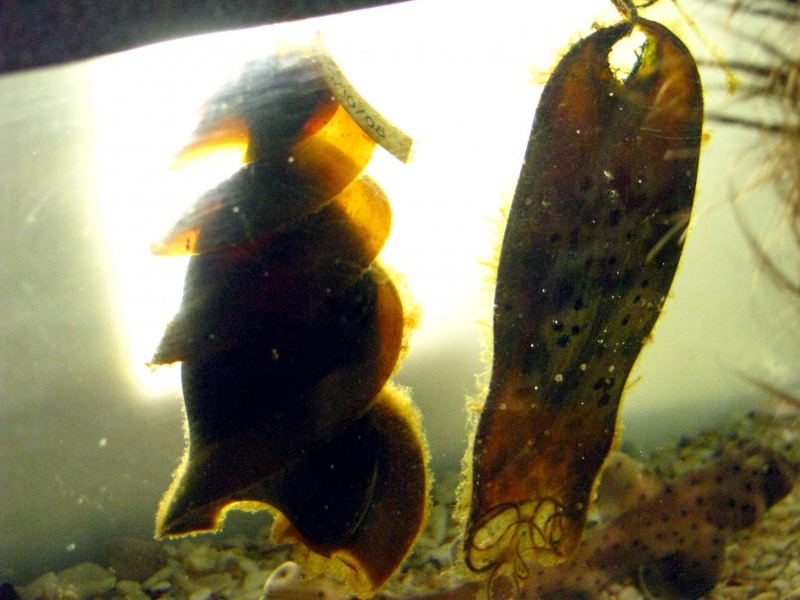 Their diet includes fish, snails, other mollusks and crustaceans such as crabs. 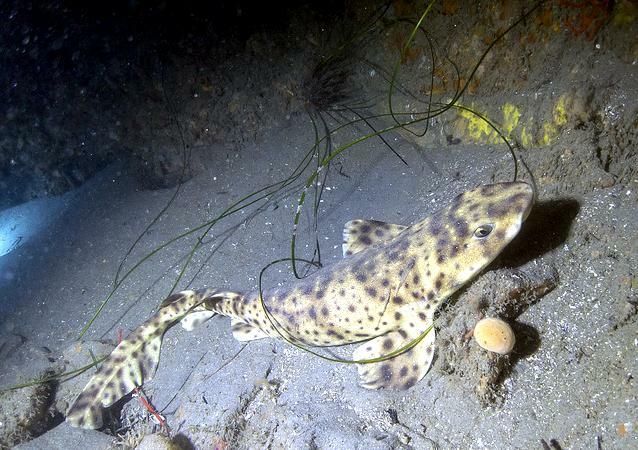 Being nocturnal they look (or wait) for food at night and return to their crannies during the day. 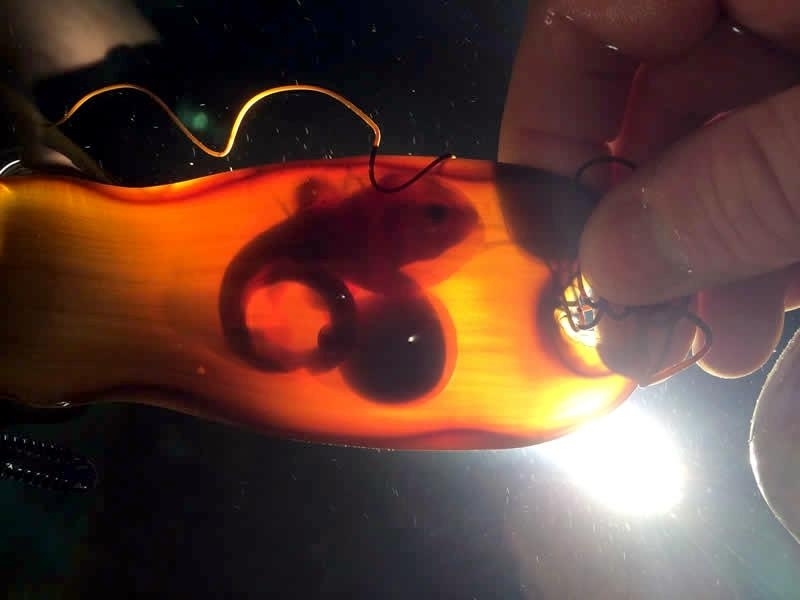 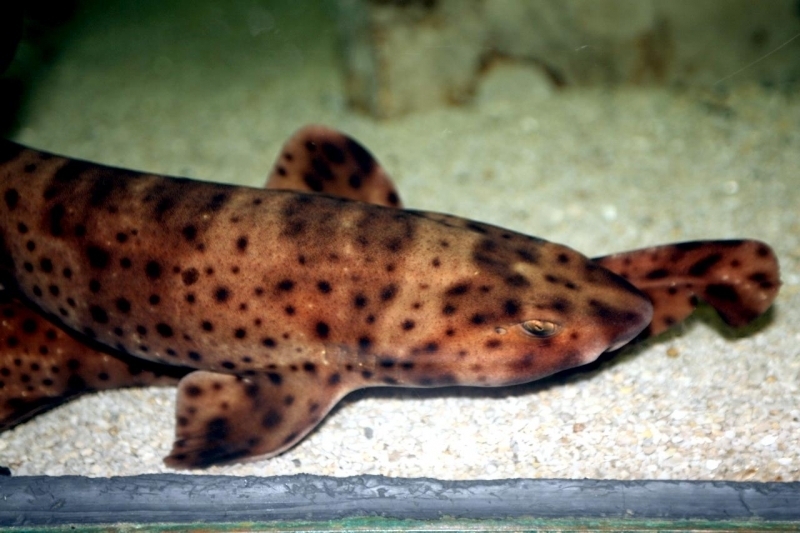 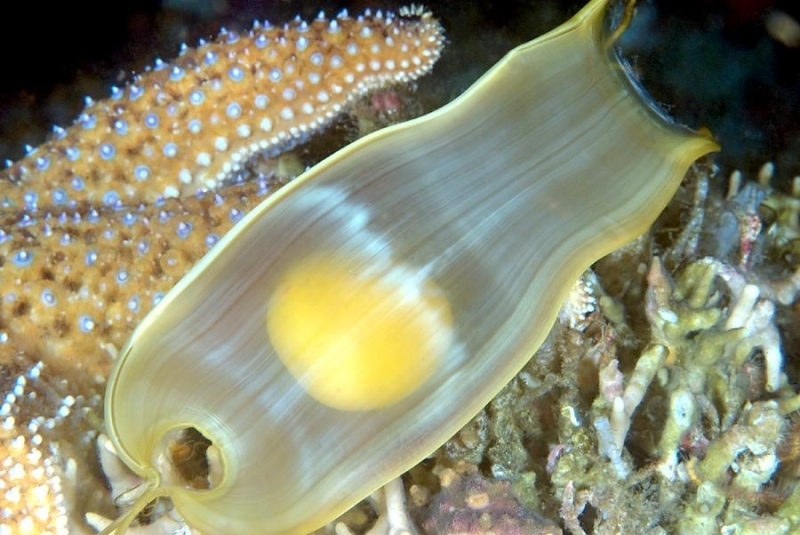 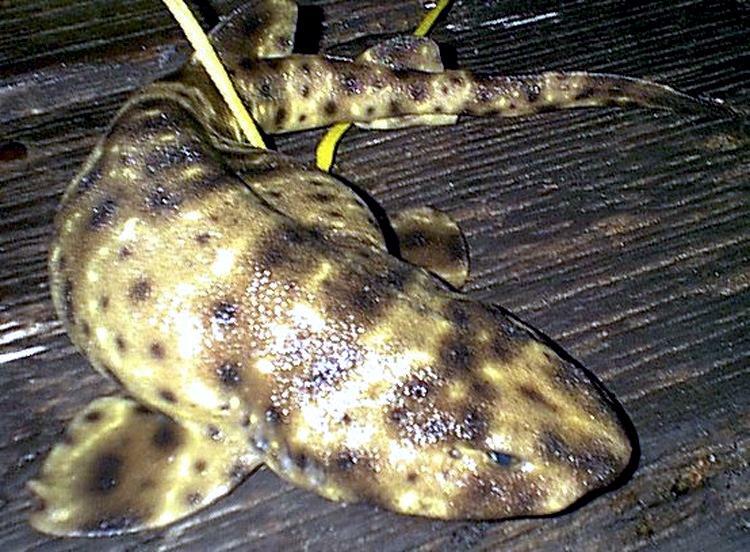 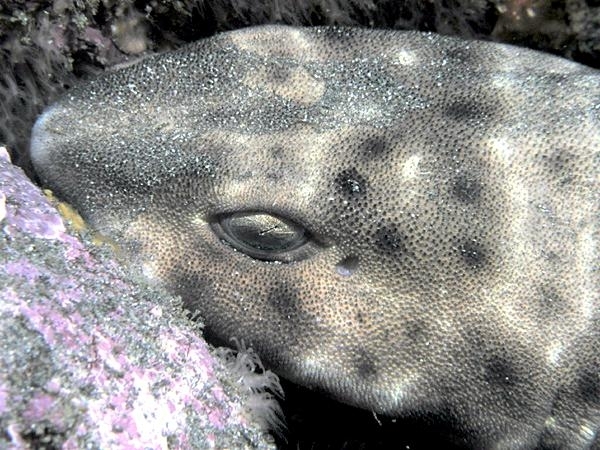 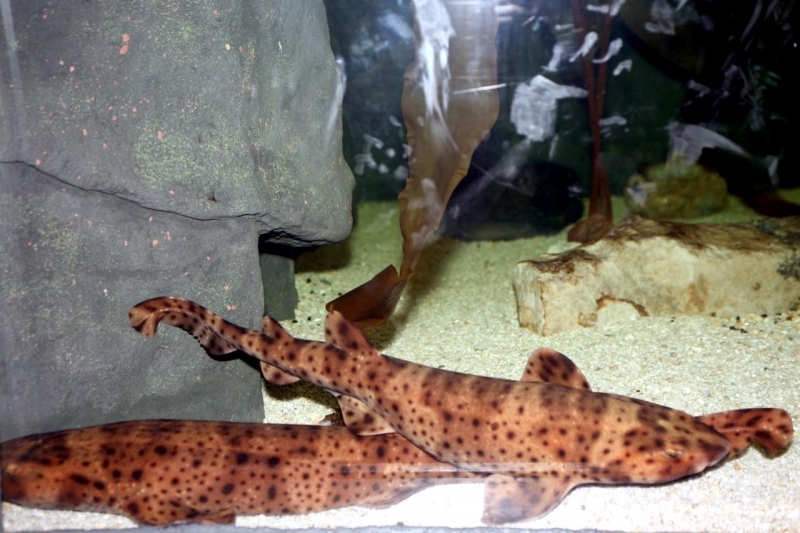 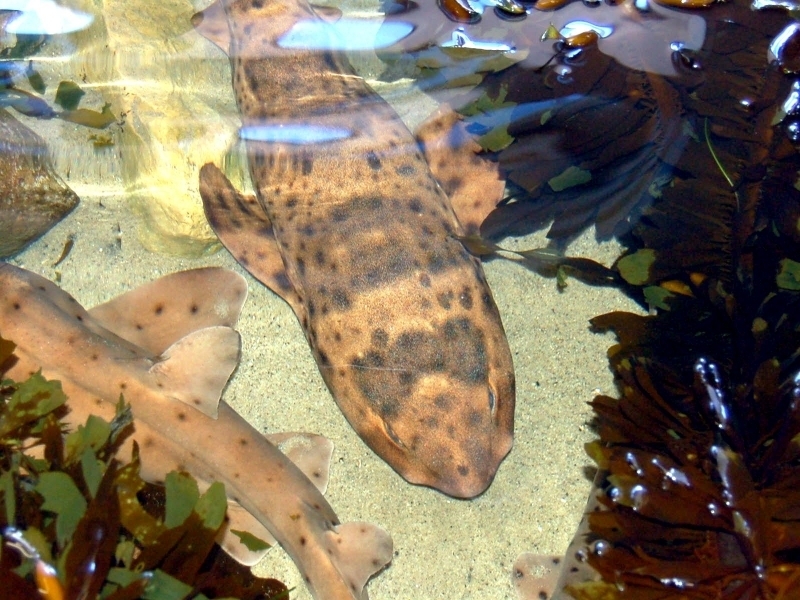 Unlike the larger sharks, Swell Sharks lay eggs and unlike most fish, they do not lay many, 2 at a time is the norm. 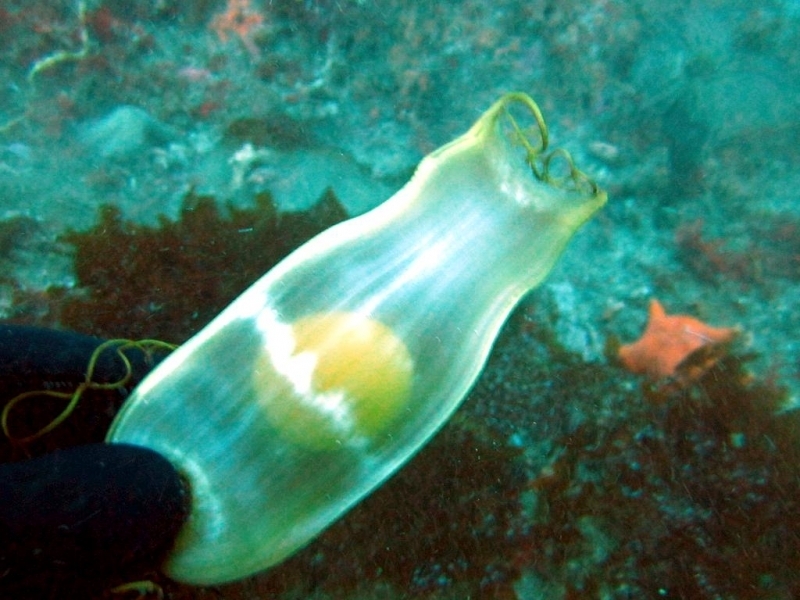 These are enclosed in egg cases and attached to something on the reef so as they do not get washed away into the open ocean. 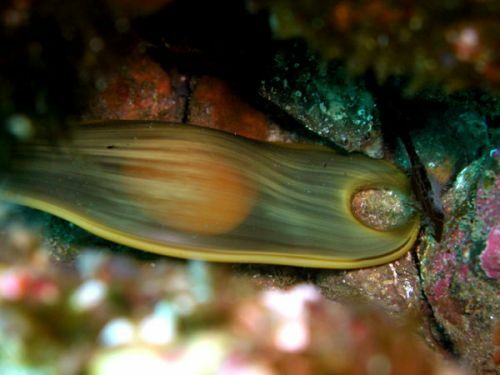 They can be fairly social and will often rest one on top of another. 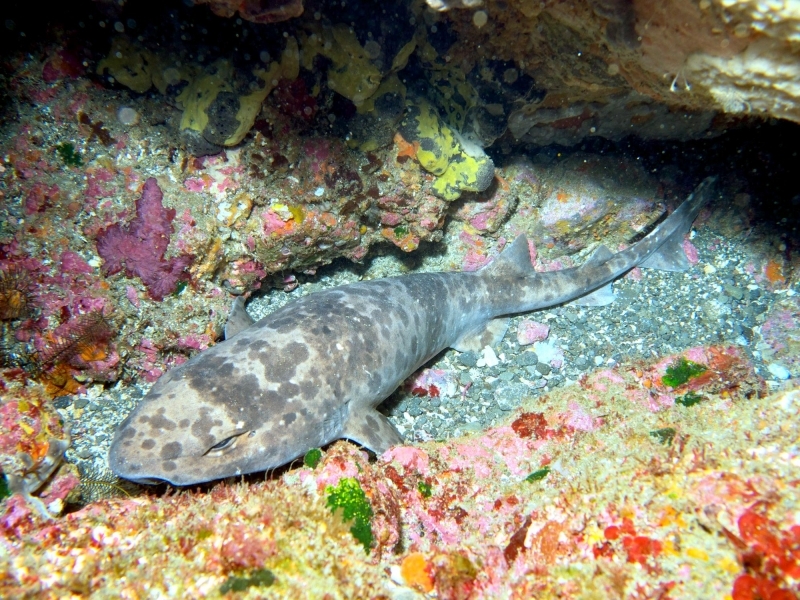 Towards humans, they are completely harmless and if encountered by divers, are most likely to stay completely motionless. 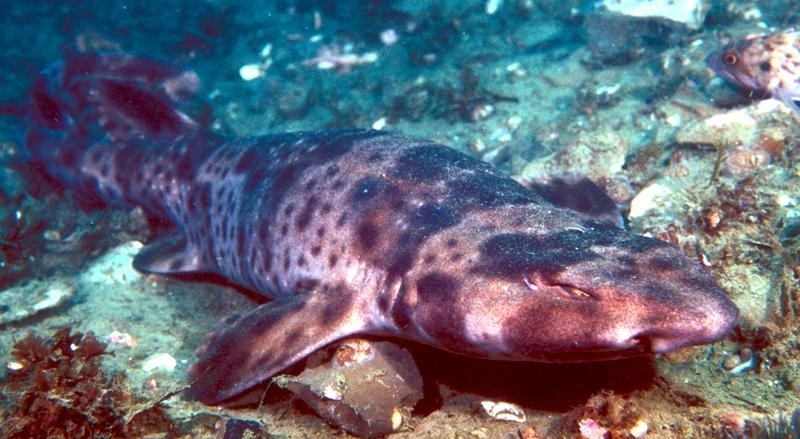 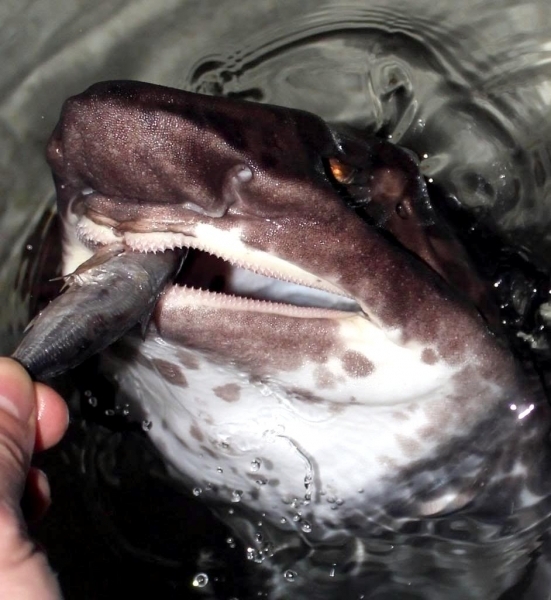 Luckily for them, Swell Shark meat is not palatable to humans and they are very rarely fished. 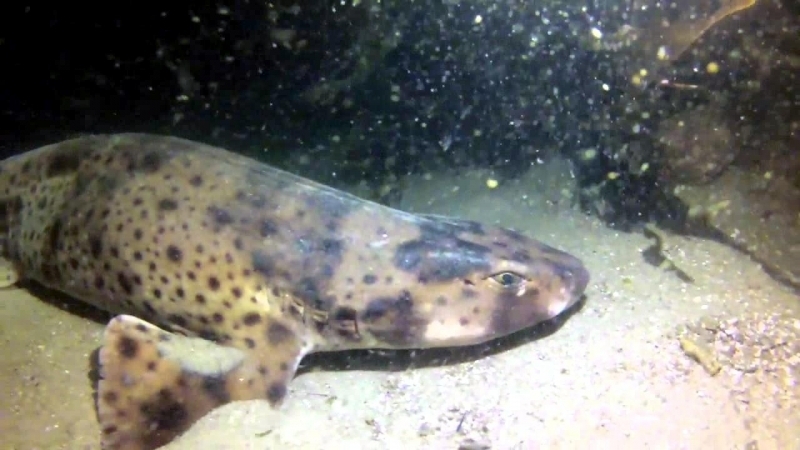 The main problems they face are being caught accidentally as by-catch or becoming trapped in for example lobster pots. 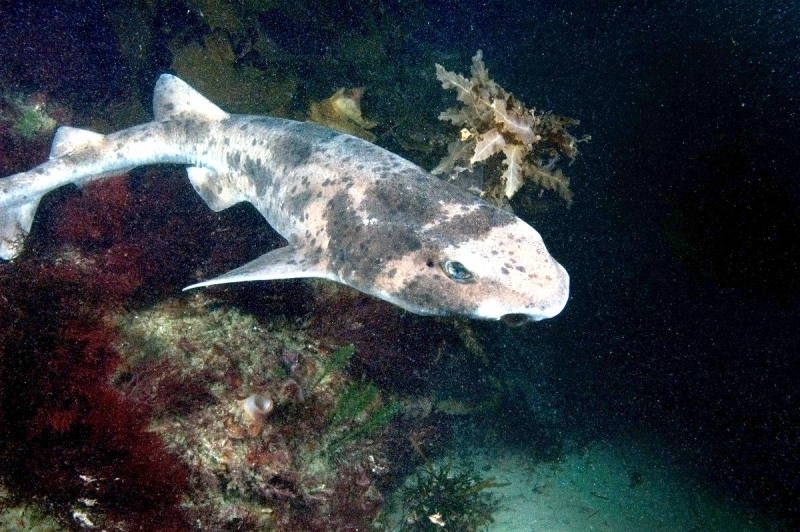 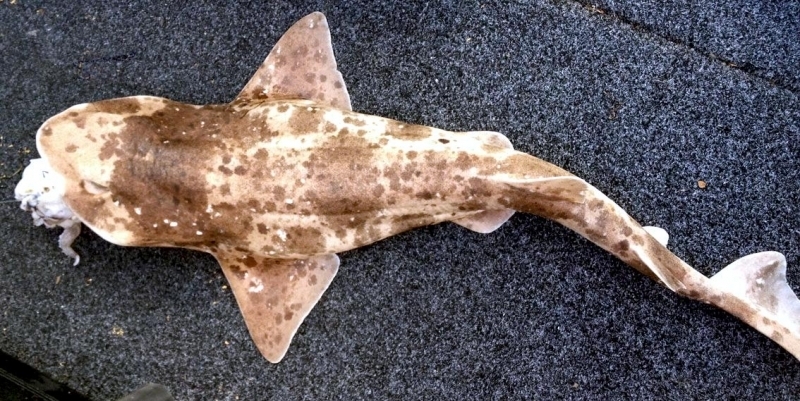 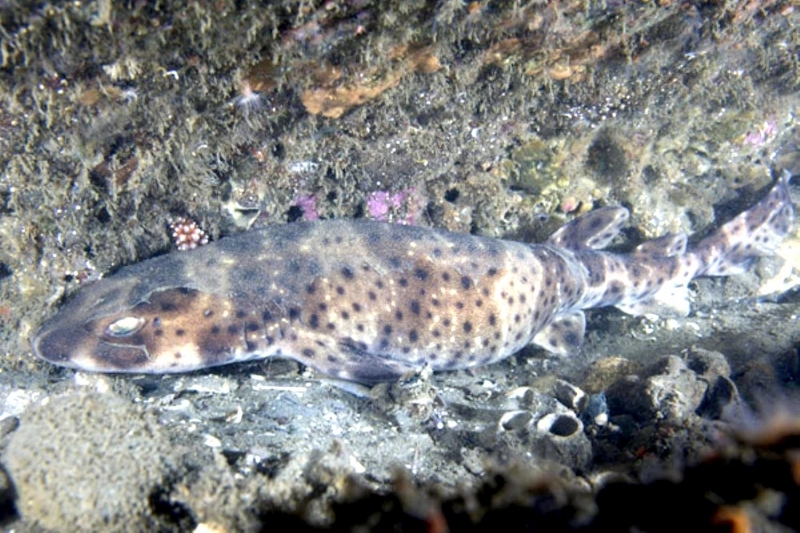 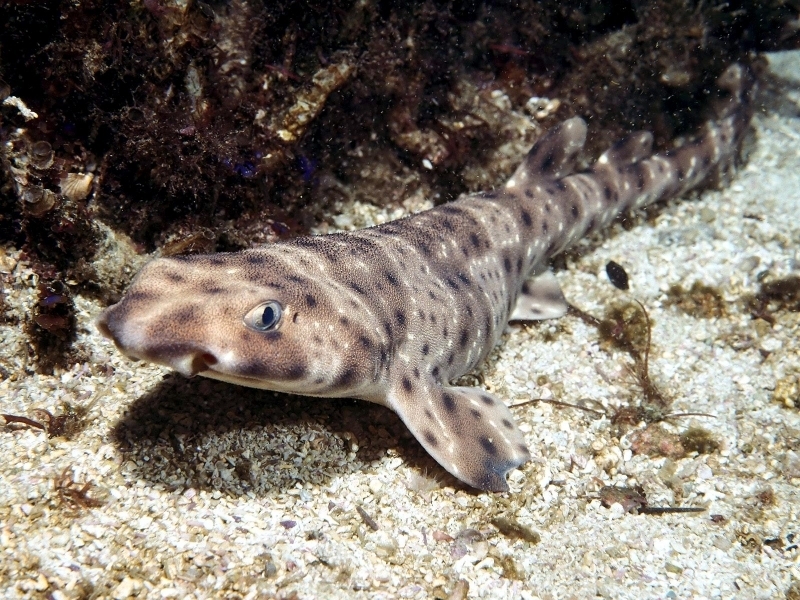 Most species are not threatened but a few including the Swell Shark are endangered. 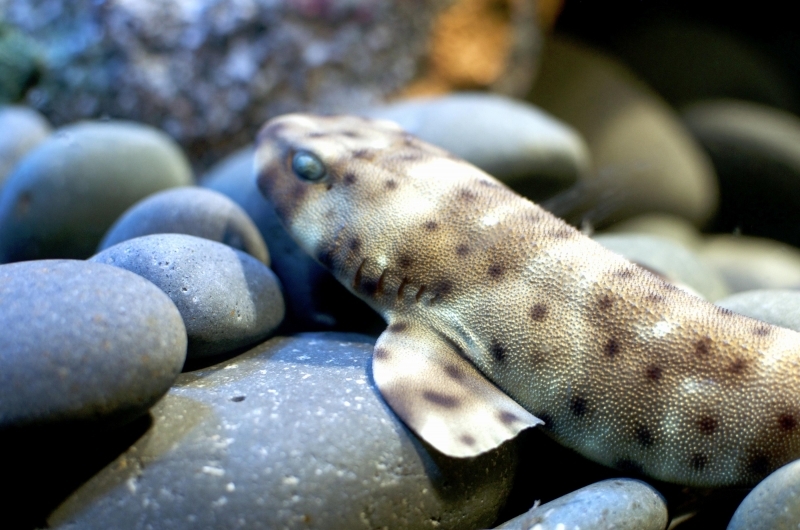 Because they reproduce so slowly, once endangered populations will take an extremely long time to recover.